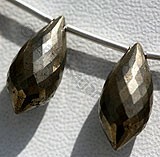 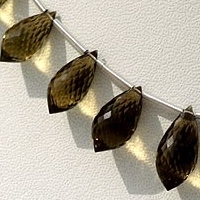 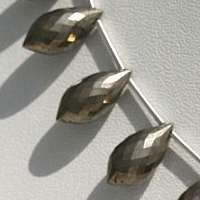 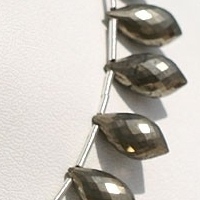 Adorn the stone of action, vitality and earth- Pyrite Gemstone in chandelier briolette bead shape. 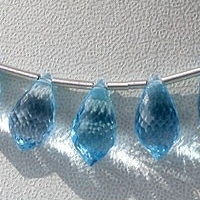 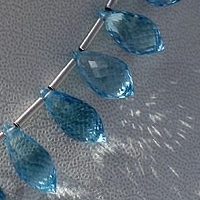 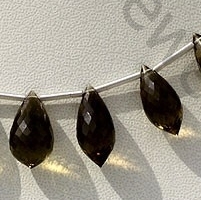 The attractive chandelier briolette beads make it easy to be used in earrings, necklace, or any other ornament. 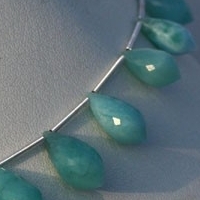 It will bring good luck, wealth, and tremendous confidence in life. 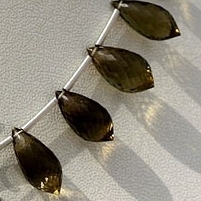 Chandelier Briolettes gemstones available at Ratna Sagar Jewels are exclusive creations by our in-house traditional artisans having several decades of experience in delivering stunning beautiful and exquisite designs. 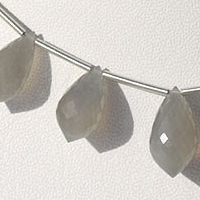 At our online gallery you will come across Moonstone, Cats Eye Scapolite, Labradorite Blue Fire, Golden Rutilated Quartz, Black Moonstone, Chrysocolla Gemstone, Orange Moonstone etc in captivating chandelier briolette shape. 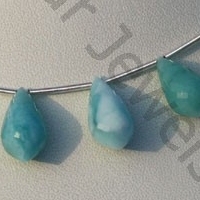 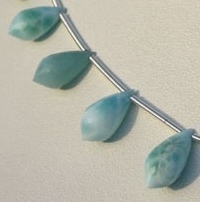 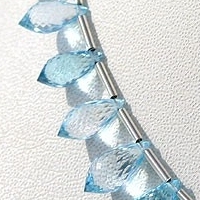 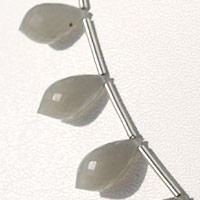 The gemstones used for making the beads are of AAA quality. 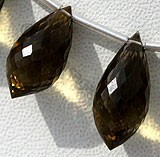 When you are buying from us you can be assured of supreme quality gemstones. 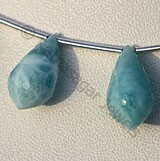 Larimar Gemstone is a variety of pectolite mineral, possess property of opaque with silky luster and are available in exquisite sea-blue color with smooth polish, Chandelier shape. 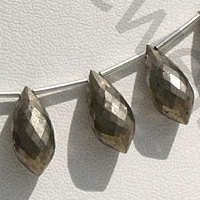 Natural Pyrite Gemstone possess property of opaque and are available in silvery-yellow metallic color in micro cut, Chandelier Shape. 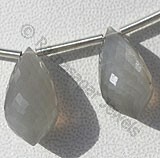 Grey Moonstone is a variety of natural feldspar mineral, possess property of semi-transparent with opalescent luster and are available in grey color with silky sheen in micro pointed cut, Chandelier shape. 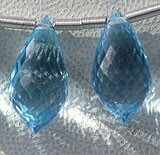 Blue Topaz Gemstone is irradiated and heat treated with colorless natural transparent Topaz to produce a more desired blue, with vitreous luster and are available with sky blue color in micro cut, Chandelier Shape. 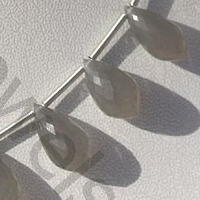 Nature Olive Quartz is a variety of quartz, possess property of transparent with vitreous luster and are available in olive color with micro cut, Chandelier Shape.